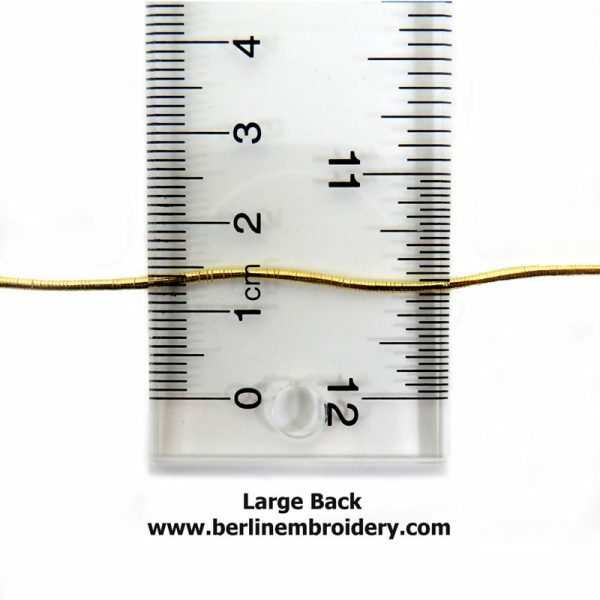 Large Back comes in one size and is similar to passing thread but much thicker (approximately 1.25 mm across the width of the thread) and is great for outlining. 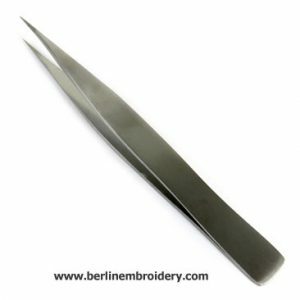 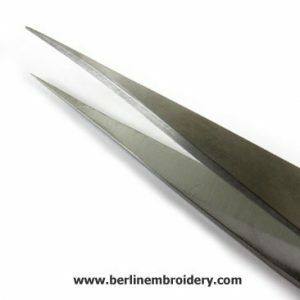 The thread is rounded and smooth in appearance and turns corners easily when using a fine tipped tweezers. 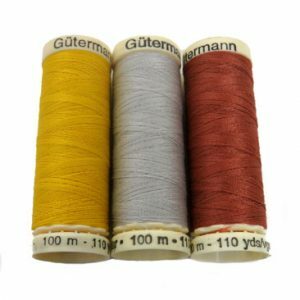 Large Back is couched down singularly in the same colour sewing thread or a contrasting colour. 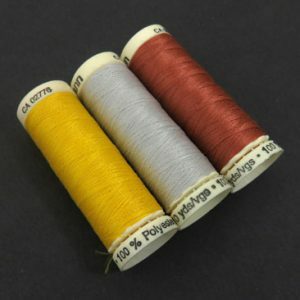 Au ver A Soie is the manufacturer of fine silk thread and yarns in France since 1820. 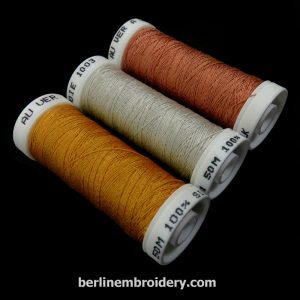 Soie d’alger is a seven ply stranded silk, each strand is twisted. 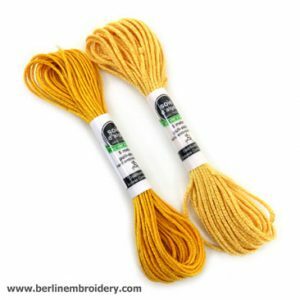 The silk comes in a 5 meter pull skein which means you can pull the thread out without removing the label. 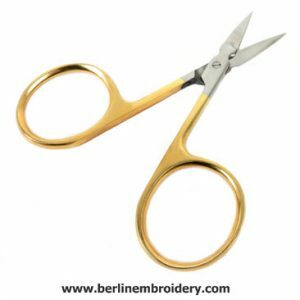 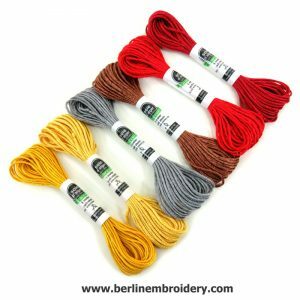 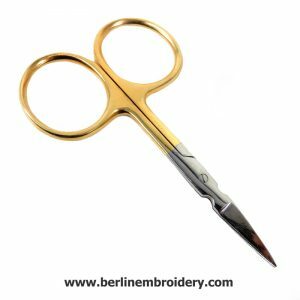 I have dark yellow (gold), light yellow (gold), grey (silver), brown (copper), bright red, dark red and black which can be used for couching down metal threads and for silk shading when doing goldwork embroideries. 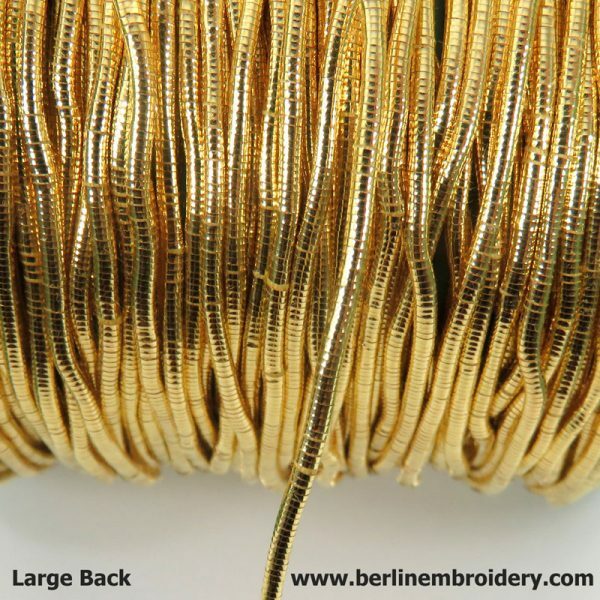 The thread is made up of a gold wire wrapped around a fibre core. 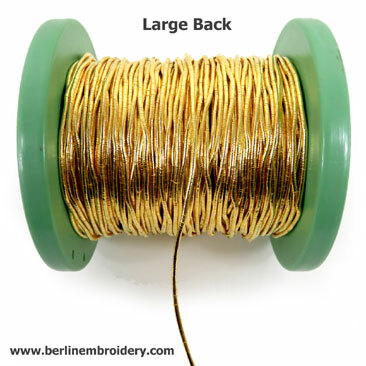 The wire is copper based with a gold, silver or copper plating and will tarnish over time.